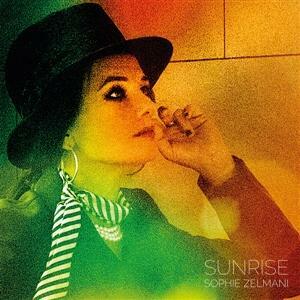 "Sunrise" is the 12th album from Swedish singer-songwriter Sophie Zelmani and the follow up to "My Song" from 2017. As always, the new album is the result of intimate collaboration between Sophie herself, and guitarist, producer and arranger, Lars Halapi. Over the years, Zelmani and Halapi have developed a deep mutual understanding and trust. Halapi can usually sense, and see, if she likes the spontaneous direction in which he takes her material.The core of musicians remain the same as before: Halapi, drummer Peter Korhonen, and bassist Thomas Axelsson add their usual, impeccable mix of versatility and subtle way of responding to each song's needs. Backing vocalists, sistersAnna and Malin Törnquist (ex-Calaisa), make their debut on a Zelmani album. Zelmani didn't deliberately present any specific songs as more uptempo, but this time the producer found that several songs lent themselves to that kind of treatment. "Only A Miracle", an uncharacteristically uptempo song, with a driving energy, that puts a rarely seen side of Zelmani on display, is the first single. "For me it represents a kind of surrender. It feels good to sometimes just let go, and just travel along", Zelmani explains. Every songs has its own, indicidual identity, whether it's aoustic guitars, a string quartet, the title track's duelling solo guitars, the subtle vocoder of "In Control", or the almost Bach-like chord structures of Zelmani's own favourite on the album, "Mirage", which features exquisite French horn, played by Helen Grahn. "There Is Love" has a light touch, and feels uncharacteristally light-hearted. As usual, most lyrics revolve around relationships that Zelmani may have experienced, observed, or made up, and different ways to look at life, as exemplified by the concluding track. It ends up being a fascinating, yet elusive, puzzle of things that have happened, and things that could have happened.